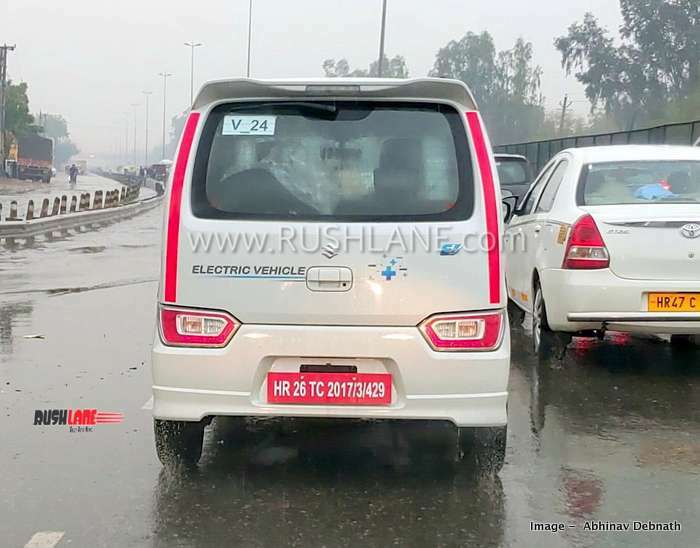 Maruti WagonR electric version will be launched in 2020. 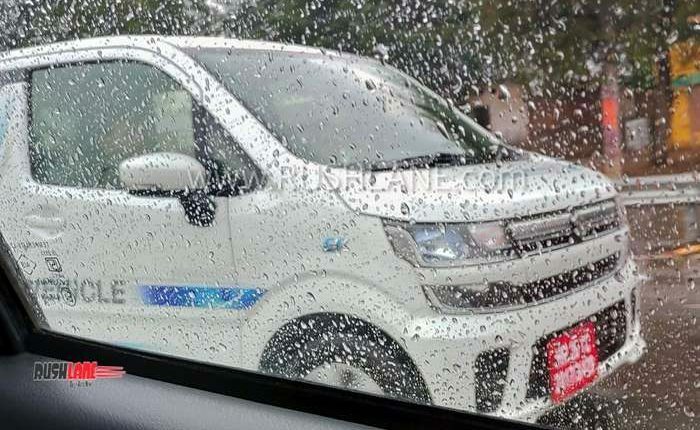 Hat tip to automotive enthusiast Abhinav Debnath, for sharing these exclusive spy images of new WagonR Electric. 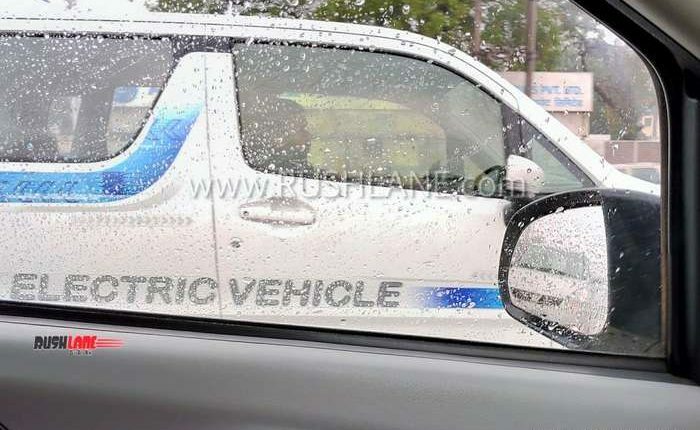 With launch date slated for early 2020, around 50 prototypes of the new Maruti WagonR electric are on road test in major cities of India. 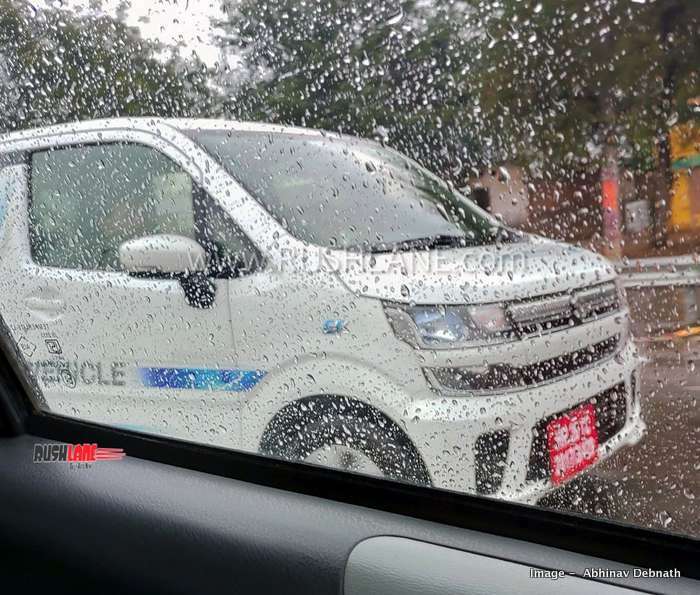 Along with getting tested for Indian roads, these prototypes also do the job of promoting the upcoming WagonR electric. 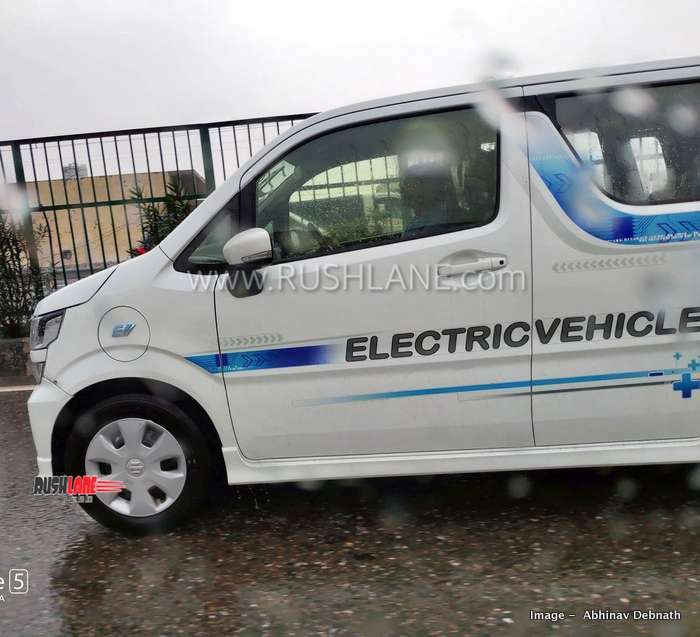 Featuring no camouflage, these test mules proudly wear the Electric Vehicle badge. 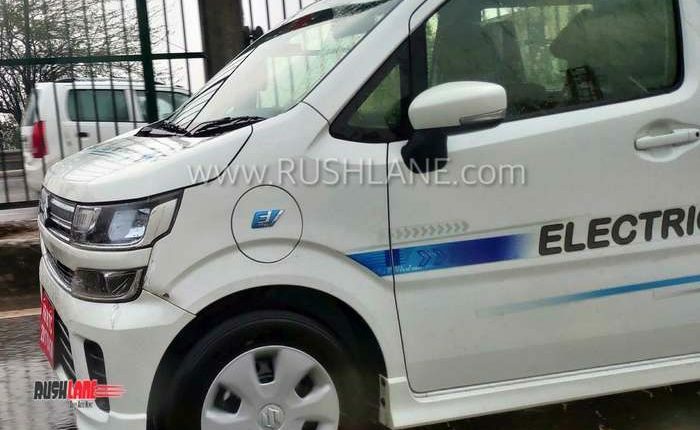 These will be the first electric cars to be launched by Maruti in India. Unlike the regular WagonR, these are based on the JDM spec WagonR, which is on sale in Japan. 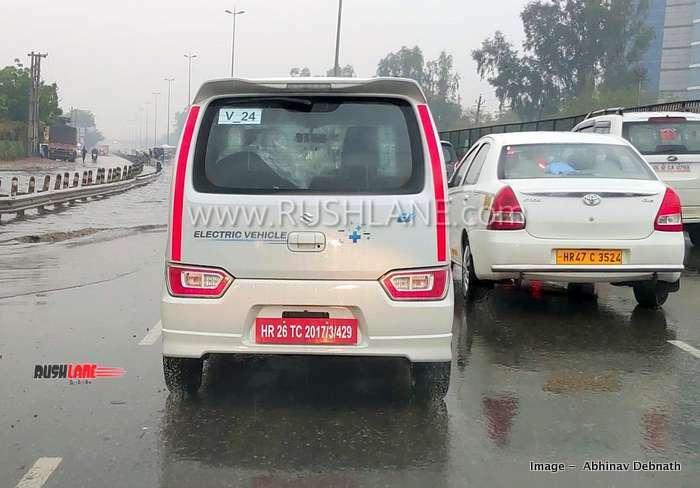 Abhinav Debnath spotted this vehicle while he was returning from Sector 32 Gurgaon, and heading towards the Manesar toll. 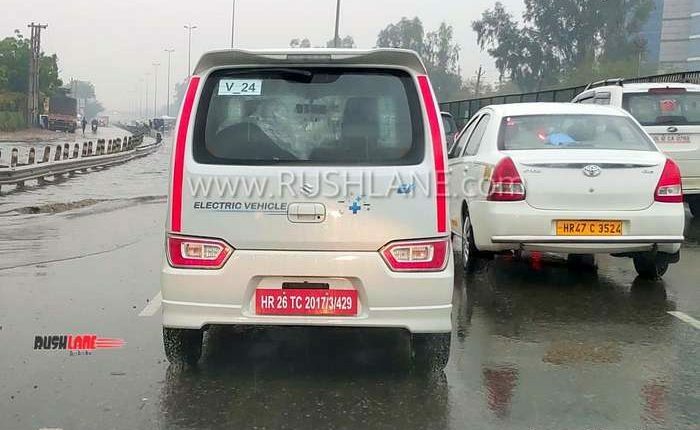 He adds that there were two test mules of WagonR electric which were testing in the rains. 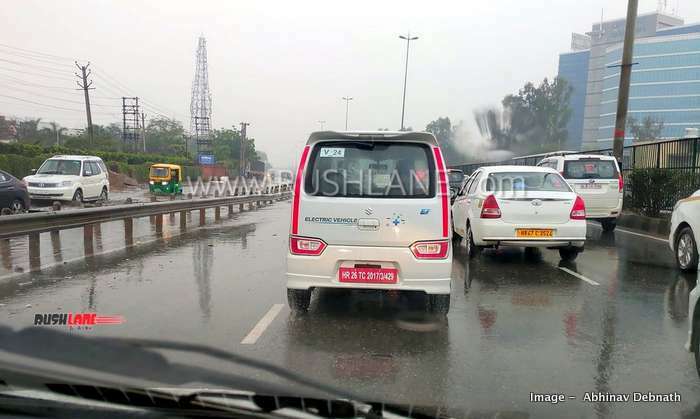 He clicked the images after crossing the Hero Honda chowk flyover. It is not clear if these are same WagonR units which will be launched in India next year, or not. 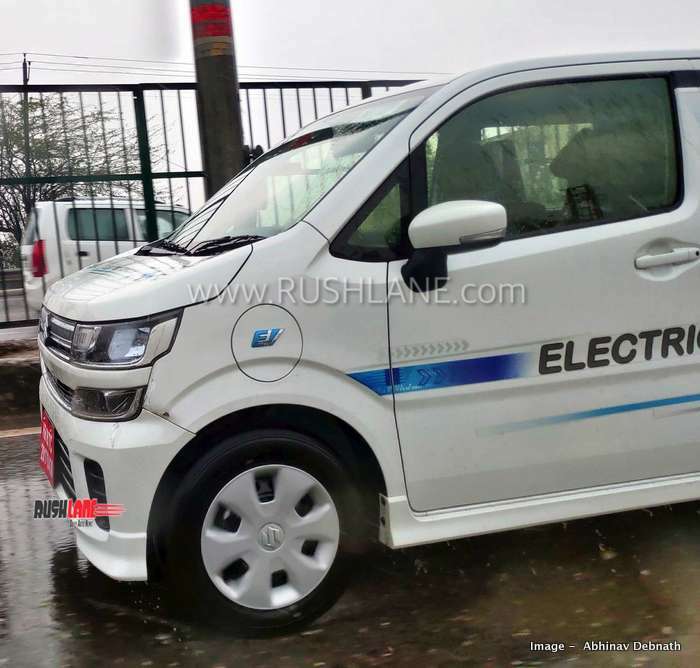 To keep costs low, Maruti could also launch the WagonR electric based on the 2019 WagonR petrol, which goes on sale in India today. 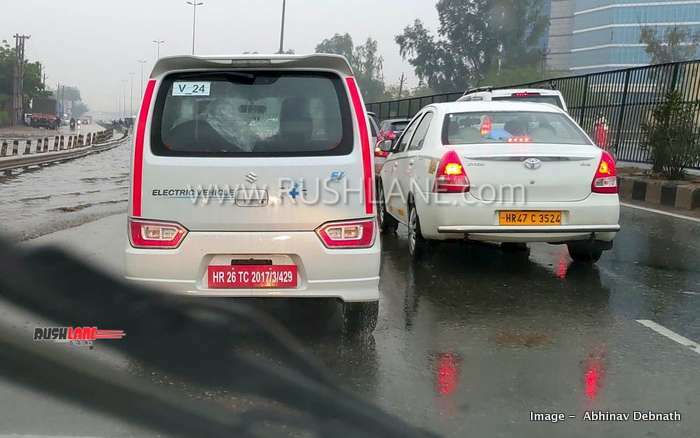 Maruti Suzuki WagonR electric made its official debut in India at the MOVE summit in New Delhi few weeks back. No specifications were revealed. 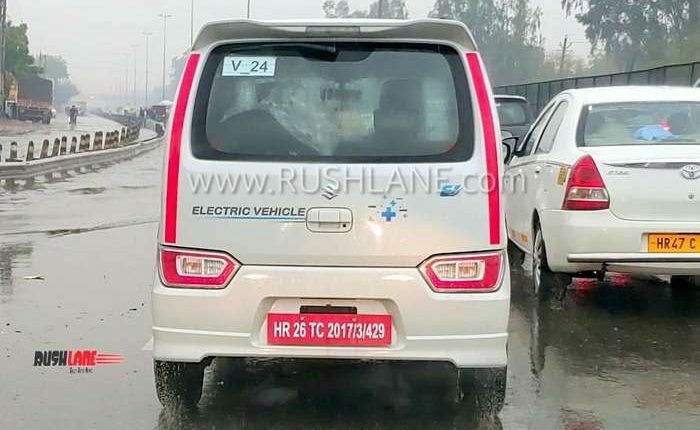 The WagonR EV was seen with MRF tyres, while the company has confirmed that the electric vehicle will likely cost twice as much as the petrol model at launch. 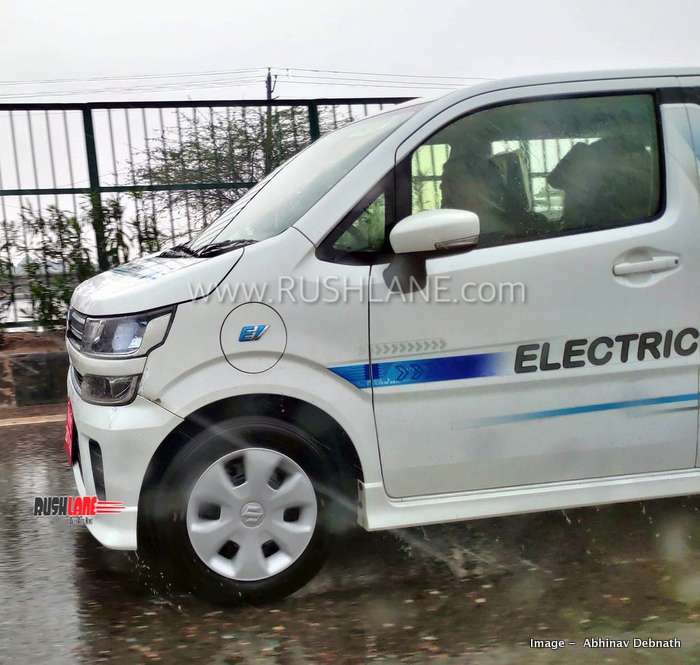 The WagonR EV on test in real world conditions will take into account charging time, range and price etc. 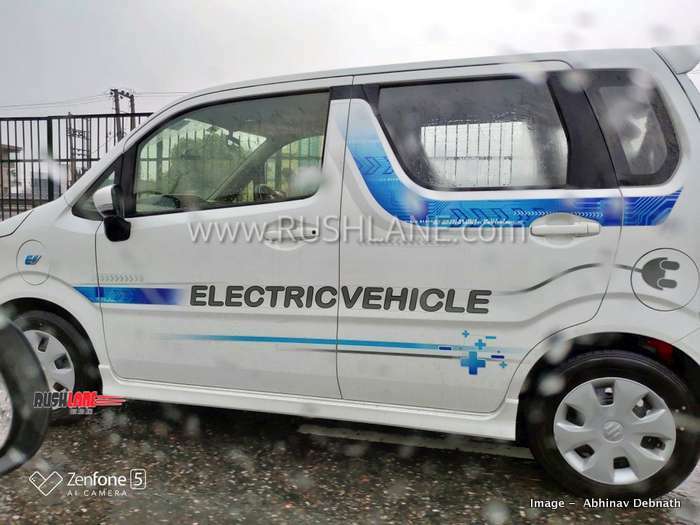 The WagonR electric has been developed at the company head quarters in Japan. For India, manufacturing will be localized, to keep costs low. 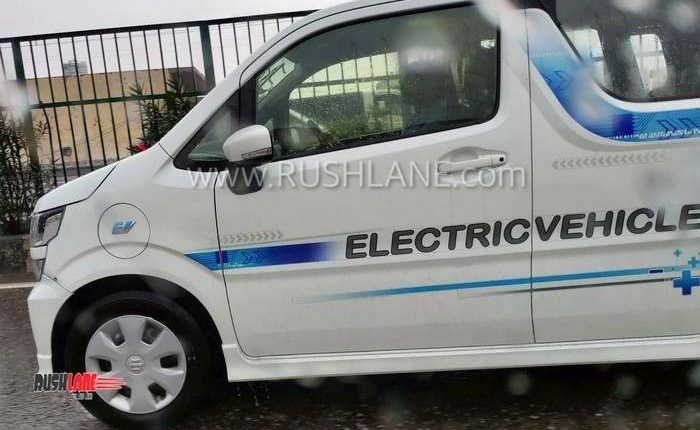 Suzuki is also working on setting up a car battery plant. 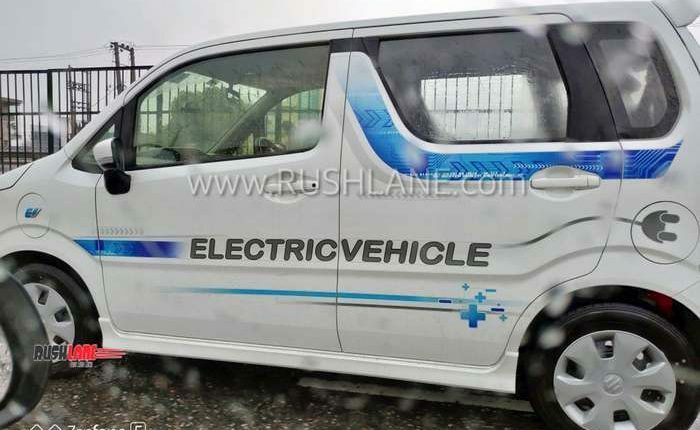 In terms of its exterior design, the WagonR EV will get a large two part grille, new front bumper, LED headlight, body colored B Pillars, wing mirrors positioned on the door and a clean tail gate with sunken LED tail lamps mounted above the rear bumper. Interiors get a new tablet like touchscreen positioned at the center while the instrument cluster is to the right of the dashboard. AC vents are wide and horizontally positioned. 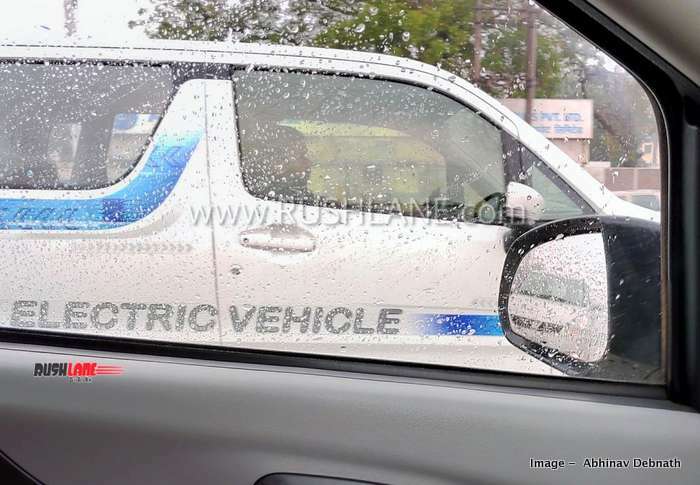 All essential safety features are expected to make their way to the new WagonR EV which include ABS, EBD. 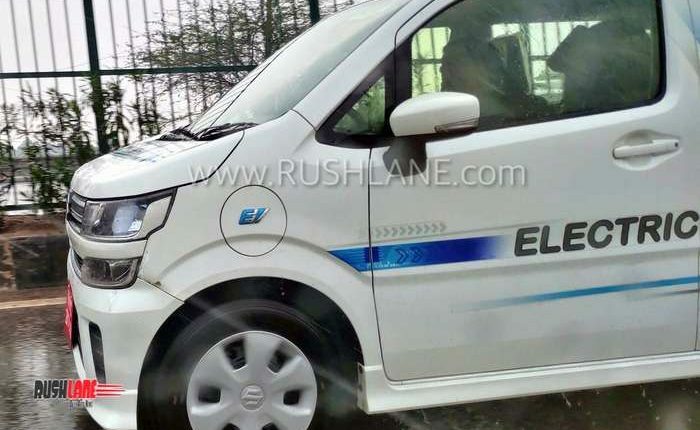 Launch price could be in the Rs 8-10 lakhs range.